Synonyms: Bois De Rose, Pau Rosa. Aroma: Warm, woody, sweet, floral. Plant: A slow growing evergreen tropical tree with a reddish bark and heartwood. Major Constituents: a-pinene, linalool, alpha-terpineol, 1,8 cineole, cis-linalool oxide. 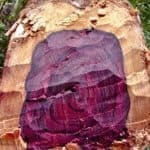 Interesting snippets: Most rosewood timber goes to Japan to make chopsticks. Part of Plant used / Extraction: The trunk wood from 30-40 year old trees is reduced to chips which are then steam distilled to produce the essential oil. 500 kg of chips produces 5 kg of essential oil. Therapeutic actions: Dry, sensitive inflamed skin, acne, headaches accompanied by nausea. Emotional and Spiritual: Tiredness, nervousness, stress. 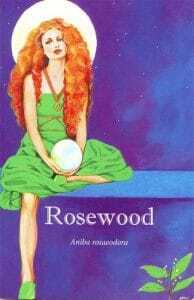 Robbi Zeck writes that rosewood enables a greater receptivity to different kinds of awareness, sensory perceptions and energy streams that roam within the labyrinth of your unconscious mind. If you are feeling blocked in some area of your life, then seek interior guidance and make a request for what you need to experience in order to see the truth behind things. Grow in life with balance by being receptive to all that is possible. 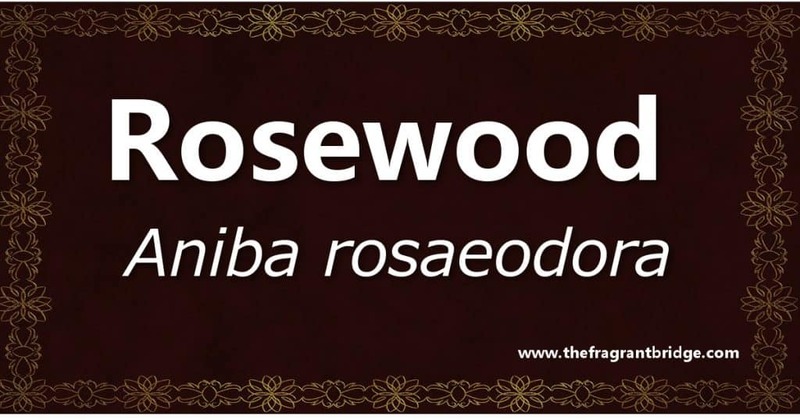 Rosewood helps you to trust your sometimes-unused wise feelings, heightening perceptions and enabling you to “see past the trees”. Utilize all of your senses to help you grow. Open up and be receptive to the abundance of the universe. 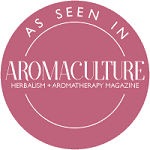 This entry was posted in Essential Oils and tagged inflammed skin, intuition, stress on July 19, 2017 by Carole Hodges. 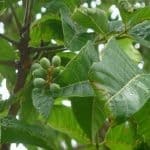 I first bought elemi essential oil based on her name but she has a lot of wonderful properties and is a very good oil for various skin conditions. Synonyms: C commune, Manila elemi. Aroma: Fresh, spicy, woody, balsamic. Plant: Large tropical evergreen tree that can reach up to 30 metres. It has large white or yellow flowers and produces green fruits, which in turn produce edible nuts. It exudes a pale yellowish resin when the tree sprouts leaves; the resin solidifies on contact with the air and stops flowing when the last leaf falls. Main Growing Areas: Philippines, the Moluccas. Major Constituents: Elemol, elemicine, alpha-phellandrene, limonene. Interesting snippets: The ancient Egyptians used elemi resin for embalming. 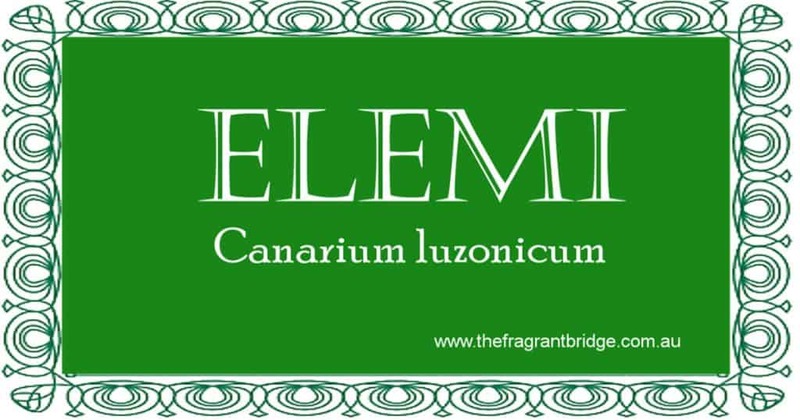 Elemi has been referred to as the poor man’s frankincense as she shares many of frankincense’s properties. She’s closely related to the trees that produce frankincense, myrrh and opopanax. Part of Plant used /Extraction: Steam distillation of the resin. Therapeutic actions: Helps build tissues and heal wounds, gangrene and abscesses. Respiratory conditions such as bronchitis and sinusitis especially where there is a lot of phlegm. Expectorant (helps to expel mucous from the lungs) when used in steam inhalations. Excellent for skin care especially for mature skin and is said to reduce wrinkles. Emotional and Spiritual: She is a balancing, strengthening and centring oil. She brings the body, mind and soul into alignment. In meditation she induces a deep calm without drowsiness. Stress that has led to exhaustion as she is both stimulating and a tonic. Robbi Zeck writes that elemi propels you inward to look deeply into things in order to see their nature, adding a quiet touch. Elemi reflects the serenity of a soul which is shining. 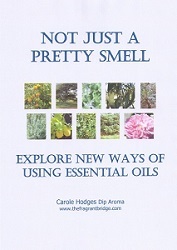 This entry was posted in Essential Oils and tagged elemi essential oil, meditation, mental fatigue, respiratory, sinusitis, skin care, wound healing on July 5, 2017 by Carole Hodges.